Arcooda coming to the Man Cave Expo in Sydney this July! Have you been wanting to experience the Arcooda gaming machines? Well now is your chance at this year’s Man Cave Expo in Sydney this July! The Man Cave Expo will be held at Sydney Show Ground in the Olympic Park Dome on the 15th and 16th of July. It is a weekend event that will be all about exciting gadgets, tools and entertainment perfect for any Manly, Man Cave (No Chest Hair Needed). 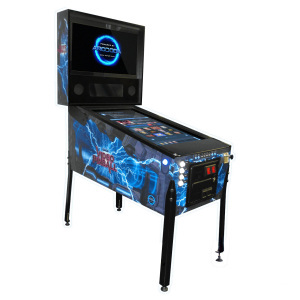 Our Arcooda products are the perfect touch for any man cave, so we are bringing our Arcooda Game Wizard Xtreme, Touch Wizard and a beta of the Arcooda Video Pinball machine to have on display. Want to know more about the Arcooda gaming machines that will be on display at the Man Cave Expo in Sydney this year? Universal Compatibility – plug and play connections to PS3, Xbox 360, Ps4, Xbox One, PC, Android, late model arcade products and more. Multiple Control Options – play your way with options including joystick and push button, external hand controller or keyboard and mouse. Unlimited Gaming – the Game Wizard Xtreme can be linked to personal gaming acounts including Steam, Xbox Live, Playstation Network and Origin via an ethernet connection. Follow the link for more pictures, video and information on the Arcooda Game Wizard Xtreme. 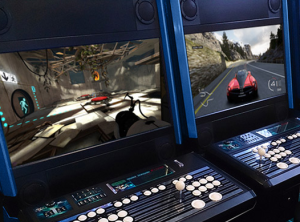 Universal Compatibility – plug and play connections to multiple console, PC and late model arcade products and more. 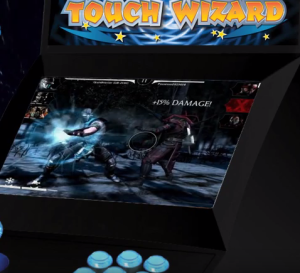 Multiple Control Options – play via touch, joystick or hand controller. Jukebox Sound – Speakers and sub-woofer that are perfect for the use of music and media apps. Follow the link for more pictures, video and information on the Arcooda’s Touch Wizard. Interchangeable Control Panels – the ability to play different genre games by adding a joystick control panel, gun control panel or a phone/tablet panel. Wildest range of Games – It is only limited by the user. Unlike regular pinball, there are thousands of video pinball and arcade games on Arcooda Video Pinball. Follow the link for more pictures, video and information on the Arcooda’s Video Pinball. You can experience Arcooda’s machines and more by coming along to the Man Cave Expo. For all details about the Man Cave Expo in Sydney, you can visit their website here.